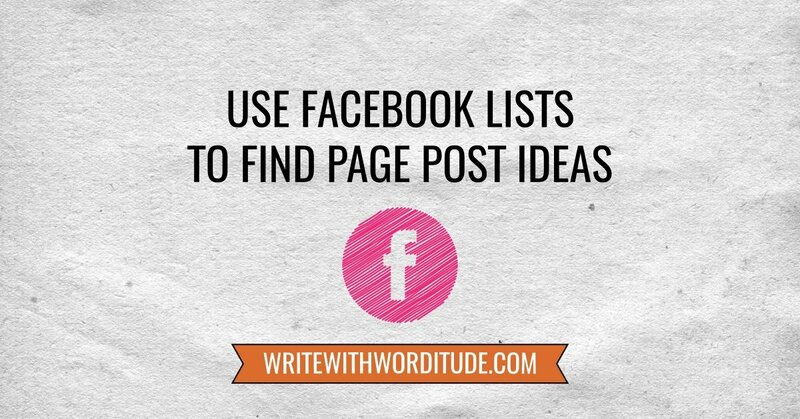 Did you know you can create lists in Facebook (just like on Twitter) of pages/people you'd like to keep an eye on. When you click on the list you get a Facebook feed just of their posts. I use it to keep an eye on my VIPs and other business-builders in my network, which makes it really easy to share their best content to my page. You could create a list of leading experts in your niche so you can stay up-to-date and on top of your game. 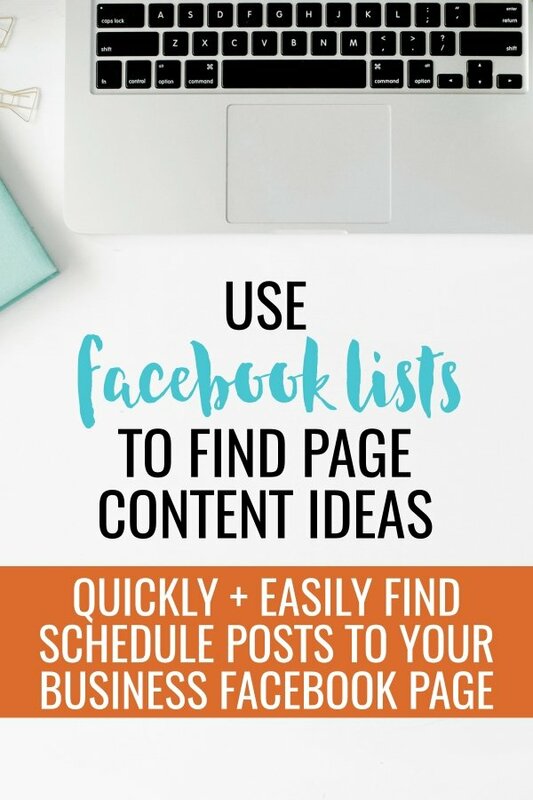 You could create a list of pages that share a similar audience to you (but aren't your competition) so you can quickly share relevant content to your own Facebook page. You could even use it to keep an eye on the competition (although you may drive yourself crazy…I tend to prefer to focus on my own lane). All my blog posts and tutorials about using Facebook to market your small business.